Supported by Sunshine Coast Council and hosted in partnership with Cleantech Industries Sunshine Coast, the 2011 Clean Futures Conference on 28 October is set to bring together entrepreneurs, experts and advisors from across Australia and overseas in a full-day, “building your bottom line” opportunity that opens the doors on the global clean technology industry. High on the list of Australia's boom industries, clean technology (cleantech) companies enjoyed an average revenue growth of 31.4% (Australian Cleantech Review 2011) in 2010 with capital investment also reaching new highs. Encompassing all aspects of environmental technology and services, cleantech industry sub-sectors include renewable energy, water, waste and recycling, construction design and materials, and energy efficiency. The Queensland 2011 Clean Futures Conference will be held on Friday 28 October 2011 from 8.45 am to 6.30 pm at the Innovation Centre at The University of The Sunshine Coast. 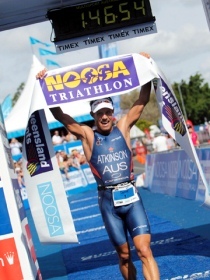 The Noosa Triathlon Multi Sport Festival is brought together with an irresistible mix of sport and entertainment coupled with, sun and surf in one of Australia’s most popular destinations – Noosa. It has been one of Australia’s most popular triathlons for 29 years and reaches capacity with an hour of entries opening, drawing 8,500 competitors to the Olympic-distance (1.5km swim, 40km cycle, 10km run) challenge that also lures our top professionals. If you think it’s all about triathlon, you’d be absolutely wrong. There’s a weeklong festival of swimming, cycling, running, triathlon events for everyone from 7 – 80+, two golf tournaments (celebrity and corporate), Queensland’s largest expo, corporate/VIP facilities, and serious after Party you’ll also need to train for. Community events include the Brekky Fun Run with some seriously fun ‘pink’ costume theming, the Superkidz Tri and Tour de Noosa ride. The 3-day Sport and Lifestyle Expo is the largest of its kind in the Southern Hemisphere sure to satisfy the astute shopper. 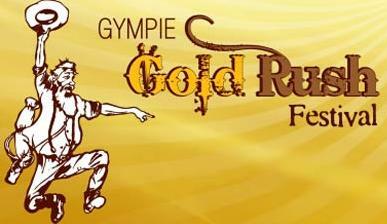 Gympie's Gold Rush Festival is a eight day event held from 5-15 October and celebrates the area's fascinating heritage. Gold Rush offers locals, tourists and visitors the opportunity to go back in history and pan for real gold in an authentic 1867 historical setting or find that once in a life time gemstone. Alternatively, you can relax on a balmy night on a blanket at the 'Symphony by the Lake'. Gold Rush caters for all, with art shows, a street parade and a family party in the park. Experience the warm hospitality of a country town, but with modern facilities and sophistication.